On Dec. 27, Secretary of the Leading Party Members' Group and Minister Li Ganjie went on an inspection tour to the Environmental Development Center (EDC), one of the Ministry's affiliated institutions. Li visited the national demonstration base for environmental communications and education and State Environmental Protection Key Laboratory of Dioxin Pollution Control, where he noted that the EDC has developed into one of the major technical supports for national environmental management which specializes in the environmental communications and education, analytical and testing technologies, research and development of reference materials, green consumption, and major scientific researches. At a symposium afterwards, Li noted that the passing year has been a milestone in the development course of ecological and environmental protection, with such hallmarks as the success of the National Conference on Ecological and Environmental Protection which identifies the Xi Jinping Thought on Ecological Civilization, the establishment of the Ministry of Ecology and Environment in the massive Party and government reshuffle, the assembly of ecological and environmental compliance inspection teams, and the major progress made in the fight over pollution. We owe all these achievements to the guidance of the Xi Jinping Thought on Socialism with Chinese characteristics, the support at the national and local levels, and the concerted efforts across the ecological and environmental sector. 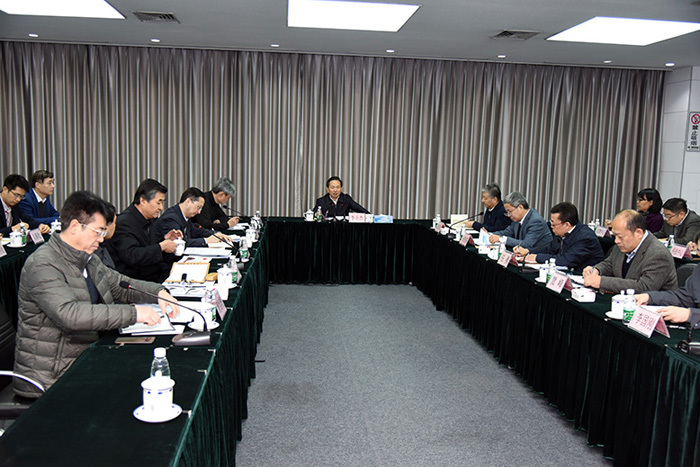 To them, Li expressed gratitude on behalf of the Ministry's Leading Party Members and the leadership.